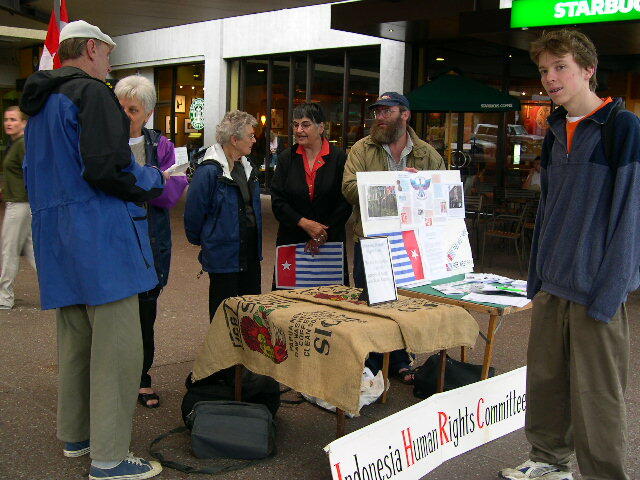 Solidarity events were held in three cities this year, Wellington, Christchurch and Auckland - links to photos are below. 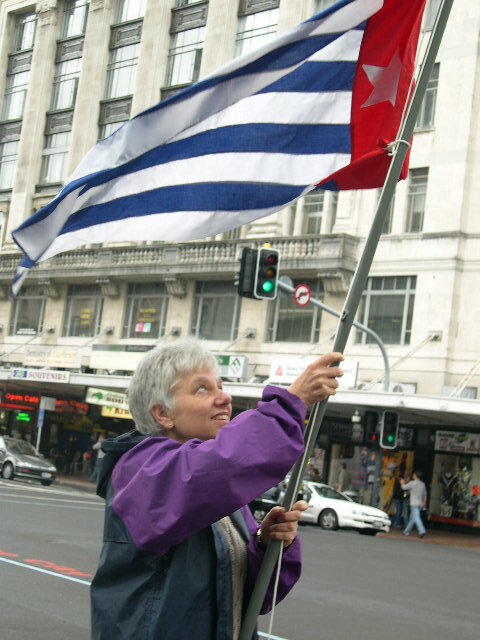 We understand the Morning Star was also flown in Dunedin. As well, a new initiative 'Messages of solidarity' was launched today. 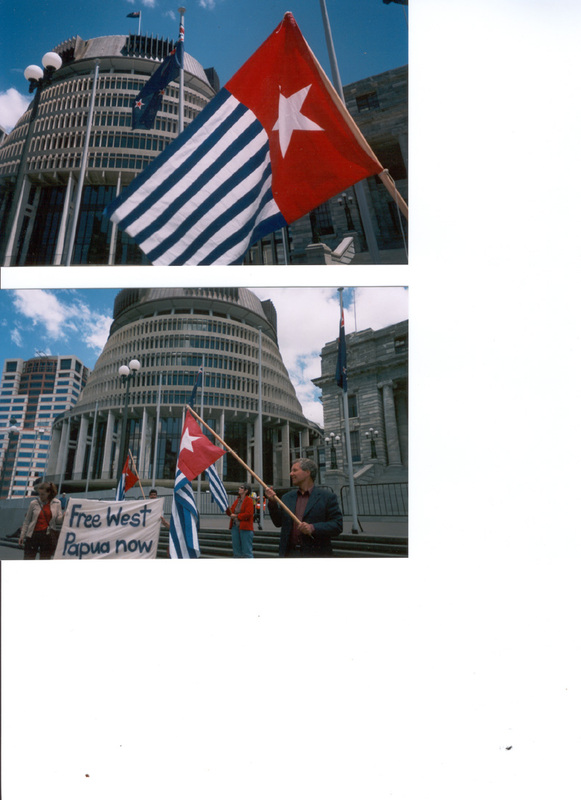 The Morning Star flies in front of the Beehive (two photos); the solidarity gathering in parliament grounds (two photos); and an address to the gathering. 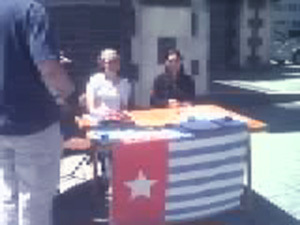 The West Papua information stall outside Christchurch Cathedral, in the Square [apologies for the poor quality of this photo which was transmitted by telephone]. 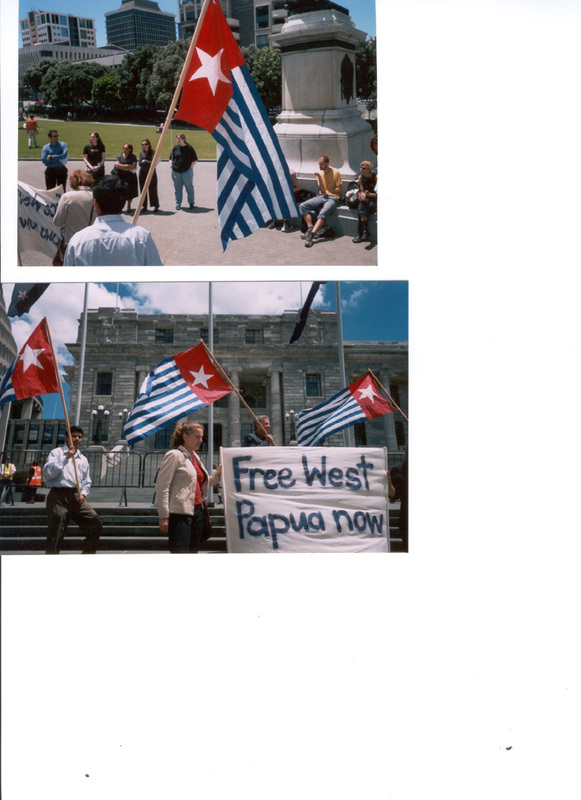 The West Papua information stall on Queen Street; and flying the Morning Star.